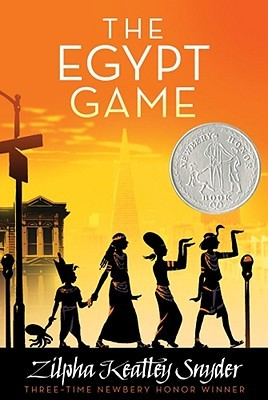 Join us for an interactive book club featuring Zilpha Keatley Snyder’s The Egypt Game, the exciting and mysterious tale of an epic roleplaying game. The story begins with Melanie and April, two friends who are obsessed with ancient Egypt. When they stumble upon a deserted storage yard behind a strange antique shop, they decide it’s the perfect spot to play the Egypt Game. Soon, there are six Egyptians who wear costumes, learn secret codes, and hold mysterious ceremonies after school and on weekends. But what happens when the game gets a little too real? Participants will receive a free copy of The Egypt Game to read between meetings. At our meetings, we’ll discuss the book and enjoy fun, hands-on activities related to the plot and ancient Egyptian history. Get ready to sample Egyptian food, mummify an apple, learn about hieroglyphs and secret codes, and play your own, after-hours version of the Egypt Game.